Small spaces and utility rooms can be difficult. 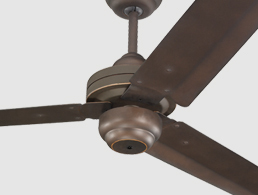 Monte Carlo can assure the perfect fit with our 20'' to 28'' ceiling fans. Don't forget to use a flush mount adapter in situations where ceiling height may be an issue. Medium rooms need cooling breezes as much as any room in your home. 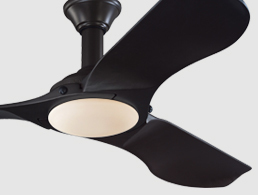 Select from our selection of 30'' to 44'' ceiling fans to assure a perfect fit. 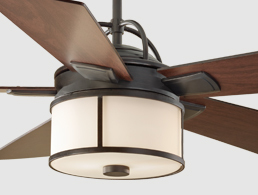 Large rooms can be easily styled by selecting the right ceiling fan. 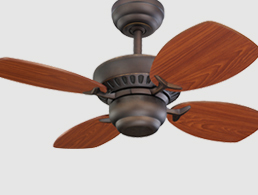 Choose from our selection of 52'' to 56'' ceiling fans that will help provide a cooling breeze. Great rooms are the warmest, most inviting room of the house. Set the mood as well as add comfort and style to your home. 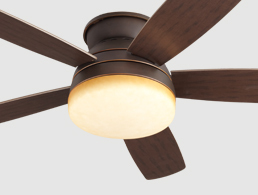 Great rooms require larger fans ï¿½ choose from our selection for 56'' to 72'' ceiling fans for a welcoming breeze. When using a fan that is exposed to the elements make sure to choose a fan rated for wet or damp locations. The choice of a Monte Carlo outdoor fan will assure your fan investment will hold up to the elements year after year. Low Ceilings can be difficult when a ceiling fan is needed. 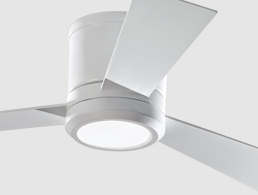 Monte Carlo has a wide selection of motor and blade finishes in our "hugger" style & semi-flush mount fans that will help you cool every room.